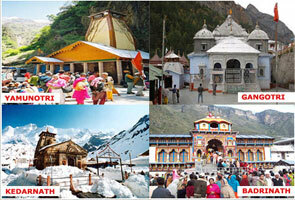 Binsar is pleasant and charming place located in Kumaon region of Uttarakhand. Binsar considered as the leisure place of chand rajas who ruled in the kumaon in 7th to 18th century. 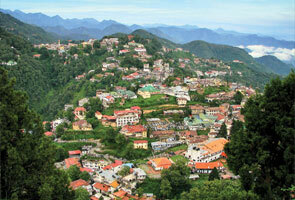 One of the best scenic spots about the Binsar is kumaon Himalayas. This peak is situated exactly 2412 meter above the sea level. As compare to the surrounding areas, the climate of Binsar is fair or it always maintains a medium climate. This special climate attracts more tourists to this spot. The Himalayan peak of Binsar is also called as jhandar dhar. Apart the Himalayan peaks another main attraction of Binsar is Binsar wild life sanctuary. It is located at the top of Himalayas. Almora is the nearest major town situated to the Binsar which approximately 32 km far from the destination. The Himalayan peaks ranges from Trishul, Nanda Devi, Shivling, Chaukhamba and Panchachuli. At this point you can also see the divine shrine of Himalaya’s which spread the areas such as Kedarnath, Badrinath and Gangotri. 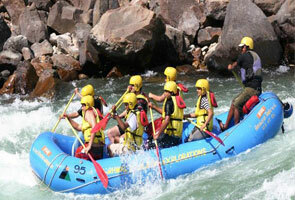 Binsar wild life sanctuary is the one of the top tourist spot in Binsar. The park surrounded an approximate area of 45.59 km2. It was established in by Uttarakhand forestry department in 1988. 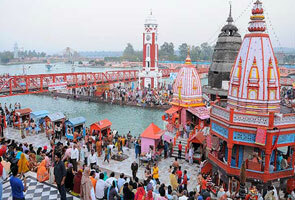 The place is located in the top of Jhandi Dhar hills. Binsar wild life sanctuary has included wide range of animals such as leopard, nemorhaedus goral, chital, jungle cat, black beer, barking beer, flying squirrel, also wandering birds such as parakeets, magpies, laughingthrush, blackbirds, forktail, woodpeckers, eagles, koklas, monal etc. There are countless visitors presence to this sanctuary throughout the year, however the season October to November is considered as the most ideal time to visit this park. Single person entry fees to the Binsar national park is 40 INR, there should be nominal fees liberation for children. Summer season is the identical time to visit in Binsar, most of the visitors preferred this time to visit this sanctuary. In this season the maximum temperature of Binsar is found 29 degree and the minimum temperature is found 15 degree. Due to the plenty of trees and sky Scrapper Mountains Uttarakhand has receiving good number of rain days, Binsar especially. The season extends from July to September. From the month of October to February, place of Binsar experience stern frozen climate. Sometimes it might down to zero level. It is needed to wear tight woolen clothes to survive in this climate.